Above: Cheeta of Tarzan Fame. People have a hard time managing pets–never mind managing exotic animal pets. There are a lot of problems pet owners and exotic animal handlers encounter with their animals. In many cases these issues can be traced back to a human (or humans) who has (have) failed to take action–which inadvertently escalated the issue. or not understanding the animal (species, breed, individual). Recently a privately owned chimpanzee attacked a person in Stamford, Connecticut. The issue was unfortunate, however it is also a good example of common errors people can make. The chimpanzee owner did not respect the animal for what he was–a large male chimp. The animal was not housed or managed properly. Training was poor or completely absent. Regulations were ignored and they were not enforced by the agencies in charge. No contingency plan existed to mitigate an incident. The pet owners do not respect or understand the animal for what they are–canines. Animals are not properly managed. Training is poor or rules are absent. In some cases, the county or city rules are ignored. Pet owners have no idea how to stop an incident from occurring. The difference between the two is that dogs have been selectively bred for thousands of years to be amiable to living with humans. The same can be true of most truly domesticated animals–but it doesn’t mean that people are any more skilled when dealing with them. Respecting an animal does not mean you treat it like a human. It means you do your research as to just what the predisposition of the animal is–the nature of it. This can be accomplished by looking at the natural history of the animal and how it lives with others of its same species. Getting around the specific species or breeds can open your eyes further. In the case of domestic animals this means looking at breed traits of the dog and behavior of dogs–not wolves. Reading helps but I find it is valuable to just get out and watch animals. Seeing them interact in a variety of circumstances is eye opening. In fact, one of the first assignments my students get is to watch their animals. I give details on how to do that in my audio class (free to subscribers). Recently one new client asked me how she could understand her animals. She failed to really observe her animals and although I was pointing out the nuances during our lesson–she wasn’t really seeing. This is a common problem in many pet owning households and surprisingly in a number of zoo handlers–they don’t really see clearly and so fail to glean a true understanding of what is playing out–or what the animal is communicating. The proper management and training of animals is another area where people fail. In some cases, pet households can get away with small exceptions to the rule and avoid issues. In others, failure to manage results in disastrous consequences. Travis the chimp is one example of failure of management and training. He was a wild animal that was treated like a human and then died because of the failure of the owner to manage him properly. He also clearly was not trained to respond to the directives of his owner. If you read up on chimpanzee behavior, it becomes clear that he was being a dominate male and exhibiting the natural predispositions found in chimpanzees. On the pet owning front this can be seen when an animal if free to roam without restraint, in the lack of responsiveness (training), in the lack of proper housing (or abuse of human living quarters), and the lack of guidelines (or as the dog whisperer says, “rules, boundaries, and limitations”). Dogs that jump on visitors or owners, paw or nudge to communicate their demands, bolt through doors or gates, and any other pet behavior problems show symptoms of the failure to manage AND a lack of training. People often do not take action to prevent problems–most are motivated to seek help only after the problems are firmly entrenched. Some people even refuse to admit there is a problem when pets growl over food or show other aggression to humans or other animals…this is the ultimate denial and shows great misunderstanding of the issues involved in cross species cohabitation. 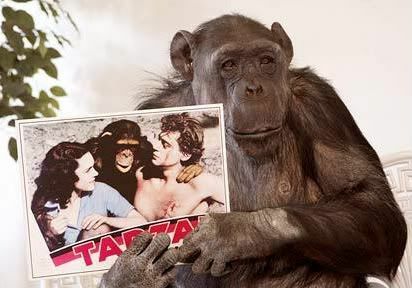 Now the fact that Travis the chimp was allowed to travel freely in public makes me wonder why more incidents did not happen. There were a few–they were reported but the authorities did not take action. At least one previous bite and an escape into traffic indicated that this animal’s behavior was escalating into more unruly behavior–or normal chimp behavior. Since no previous steps were taken to mitigate this escalation, the result was a larger devastating and deadly incident. In the pet loving world where I live, there are people who believe their dogs should be able to roam free–despite the local leash laws that also apply to the forest trails. In addition to the attacks that occur on humans and animals by unleashed dogs (with or without the owner present), there are also issues with wildlife–the spread of disease to coyotes and raccoons, the disturbance of trout spawning grounds, and more. Within the homes there are many households that are over the limit of the number of animals legally allowed and many dogs are not licensed. In others, the animals spend long hours outside without mental occupation, exercise, or human interaction…and sometimes restrained on a chain or in a small kennel. (This is a judgment call in many cases). The problem is that in this area we are sorely lacking in humane officers to enforce the laws but the other problem is that people remain ignorant or irresponsible when it comes to those laws. And some flat out just think the rules should not apply to them. We have one local who has received about a dozen tickets from animal control. He still lets his dogs roam, they don’t wear collars, they scare people, and they terrorize other animals and wildlife in the area. Whose fault is it that the ordinance are not obeyed or enforced ultimately? In most cases incidents can be prevented by making sure the areas I’ve discussed are addressed. If the chimp’s owner had been savvy enough to manage, house, and train Travis the chimp properly–would the situation have been avoided? Perhaps, but wild animal attacks happen even in the best of circumstances. Certainly if he had been housed properly he would not have opened the door to get out and attack the owner’s friend. 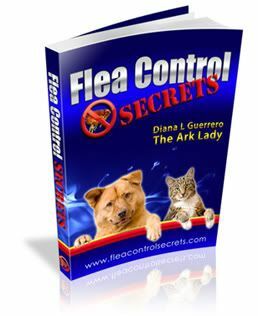 One of my newest clients has been bitten by her dogs several times because she doesn’t know how to predict when an issue might occur–but more importantly she did not know how to stop one. There are a variety of strategies people can use for animal attacks which I have written about before.